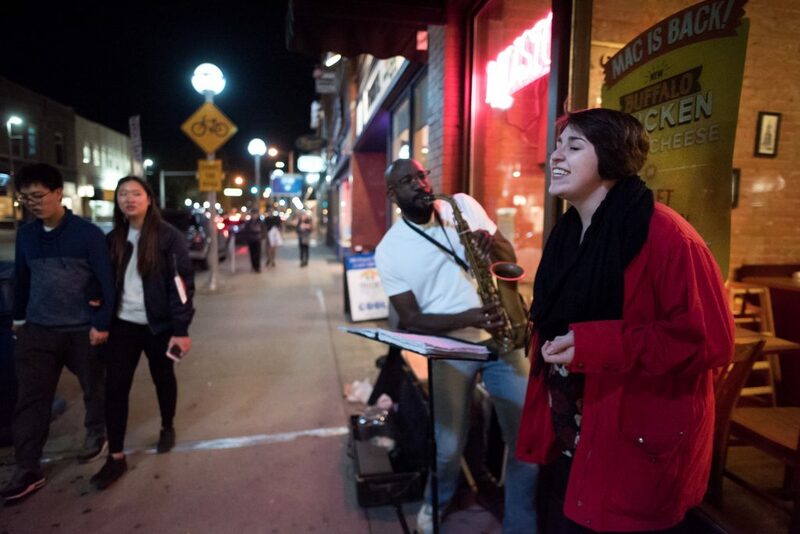 An alto sax player named Ahmid solos to Jamie Abersol play-a-long music on State Street in Ann arbor. He’s a classically trained musician who just started playing jazz. If you can catch him playing live on the streets of A2, you’ll be in for a real treat. He usually plays at Nickels Arcade, or at State and Liberty, and also on Main Street.He plays tunes such as How High the Moon, Waltz for Debby, My Foolish Heart, tunes with rhythm changes and many other jazz standards. 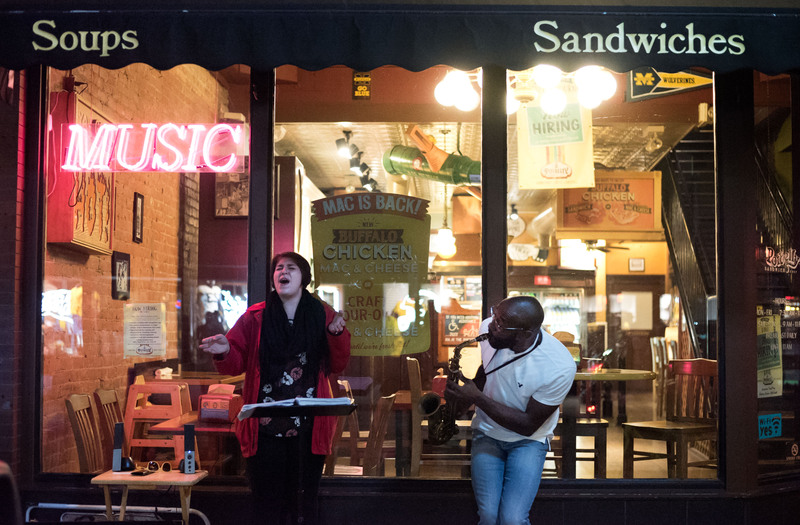 A jazz singer joined in on this particular occasion, as show in the pictures. 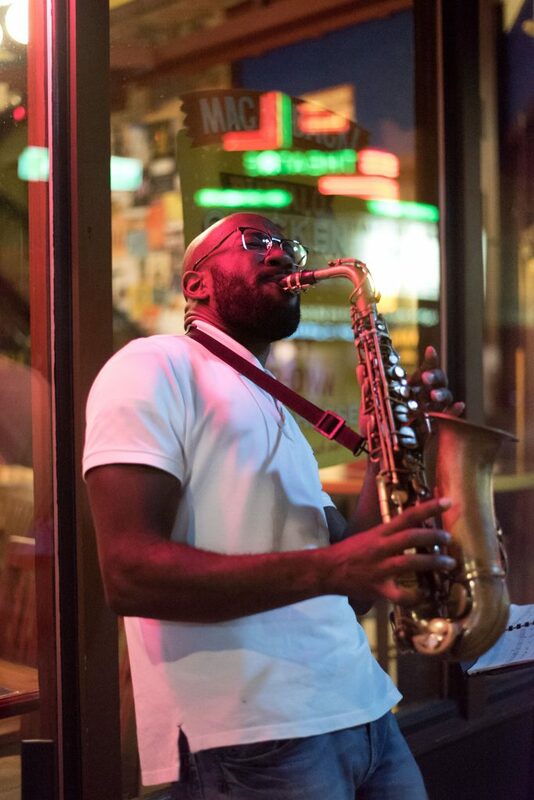 A great jazz alto sax player, plays at night to a Jamie Abersol track in downtown Ann Arbor.